National Forests encompass about 20,000 million acres of California, or about a fifth of the state. The 18 National Forests in California are the source of more than half of the state’s water flowing from the Sierra Nevada, Coast Range, and southern California’s Transverse Ranges. National Forests are public lands managed by the Forest Service for multiple uses, including timber, minerals, range for grazing, water supply, recreation, and fish and wildlife habitat. Protected areas on our National Forest lands include wilderness, wild and scenic rivers, National Monuments, National Recreation Areas, and other special designations. Federal law requires the Forest Service to update and revise National Forest management plans every 15-20 years. These management plans determine the overall level of logging, mining, and grazing on each forest, as well as consider additional areas for protective management. The Forest Service’s planning rule specifically requires a comprehensive inventory of roadless land for potential wilderness protection and a similar inventory of rivers and streams eligible for wild and scenic river protection. Since 2005, revised plans have been adopted for five forests in California, including the Lake Tahoe Basin, Los Padres, Angeles, San Bernardino, and Cleveland National Forests. The Forest Service is currently in the process of updating and revising plans for the Inyo, Sequoia, and Sierra National Forests and the agency initial planning steps for other forests in the state. 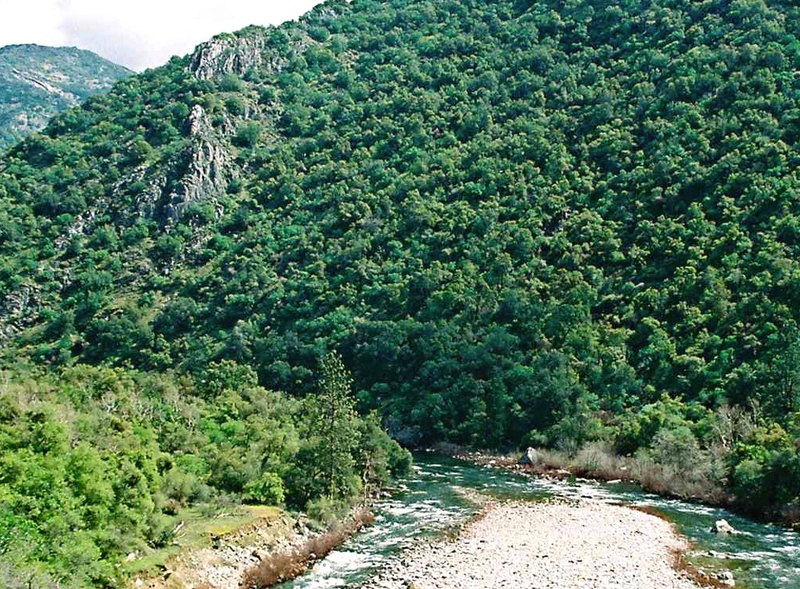 CalWild participates in the forest planning process to advocate for the protection of additional wilderness and roadless lands and eligible wild and scenic rivers, as well as fish and wildlife habitat (particularly for at risk species) and sustainable recreation. The Forest Service is required to encourage public participation to identify issues addressed in the plans and to review and comment on draft plans. Much of CalWild’s forest planning work is focused on identifying and surveying areas and rivers for protection, educating the public, and mobilizing public comments on draft plans. In 2016, the Forest Service released draft plans for public review and comment for the Inyo, Sequoia, and Sierra National Forests. 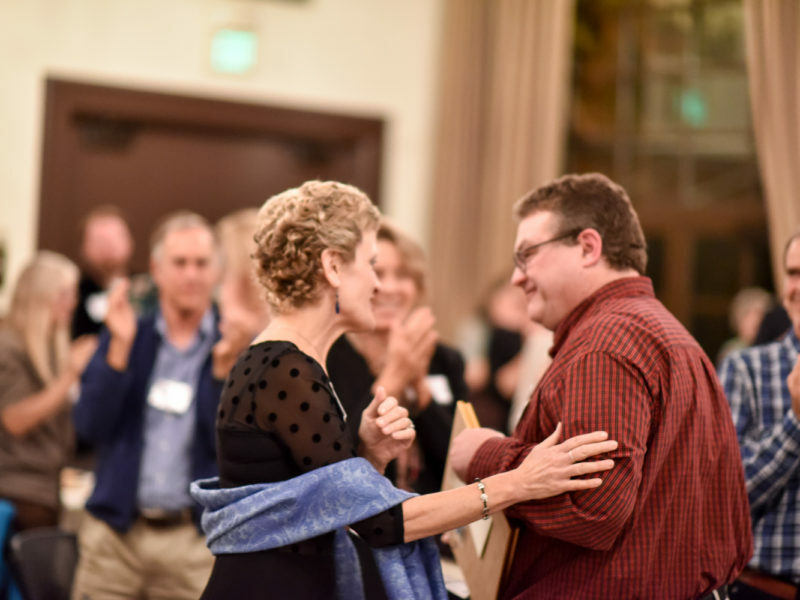 CalWild helped mobilize hundreds of public comments in response to the draft plans and submitted more than 50 pages of detailed comments (to download a copy of CalWild’s comments, click here). 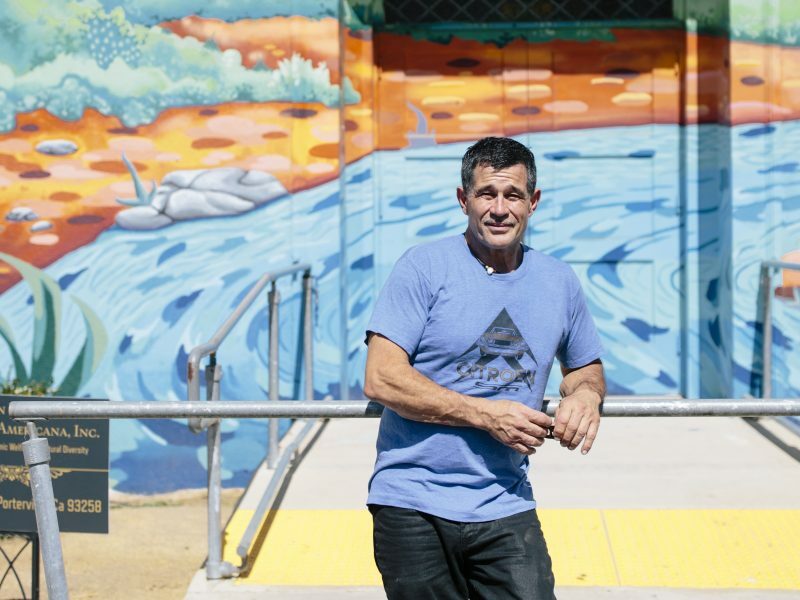 The draft plans were a mixed bag in terms of achieving CalWild’s conservation goals. Out of the 4 million acres of land addressed in these draft plans, the Forest Service identified nearly 1.5 million acres of roadless lands potentially suitable for wilderness protection. Unfortunately, no new wilderness was recommended by the agency in the Sequoia and Sierra draft plans, and only a modest 37,000 acres of wilderness recommended in the Inyo draft plan. The results of the rivers inventory in the planning process was also similarly mixed, with the Sierra Forest identifying more than 600 miles of eligible wild and scenic rivers, but the Sequoia only identified 75 miles. 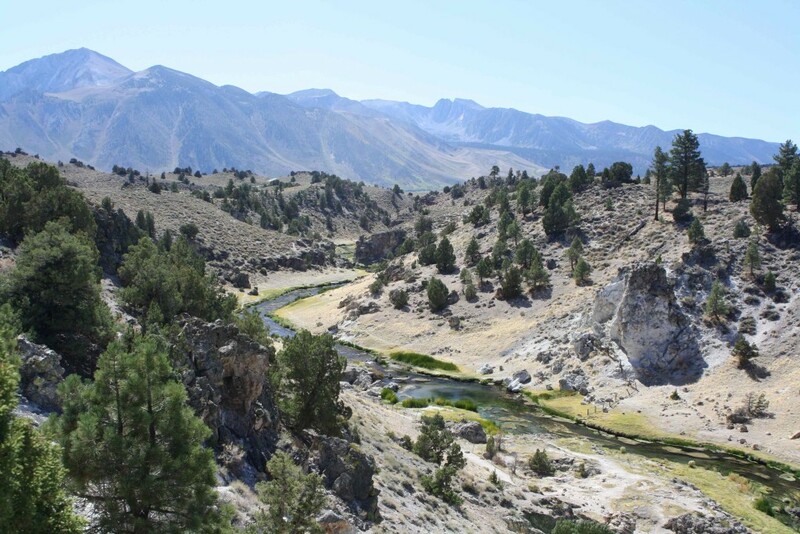 In response to CalWild and public input, the Inyo Forest has tentatively increased eligible wild and scenic river miles from 160 to 224 miles. 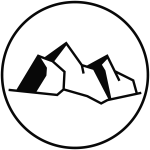 A final Inyo National Forest revised forest plan will be released sometime in the late spring or early summer of 2018. 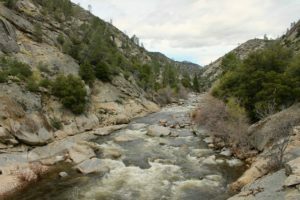 Depending on its content, CalWild and its allies may file an official objection to the final plan to encourage the Forest Service to recommend new wilderness and improve the wild and scenic river inventory. A similar objection/negotiation process in which CalWild was involved in 2014-15 for the Lake Tahoe Basin revised plan, resulted in a more than 40% increase in eligible wild and scenic river mileage identified by the agency. 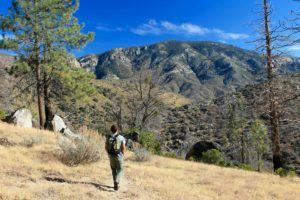 Similar appeals of the four southern California forest plans led to a significant increase in recommended wilderness acreage on the Angeles and Cleveland National Forests in 2014. In response to concern about drought-caused tree mortality on the western slope of the Sierra Nevada, the Forest Service intends to release supplemental draft plans for public review and comment for the Sequoia and Sierra National Forests sometime in the summer or fall of 2018, although delays are typical. The supplemental drafts will provide CalWild, its allies, and the conservation-minded public a second opportunity to encourage the Forest Service to recommend new wilderness protection and consider additional eligible wild and scenic river segments. To review a sample of the kind of field work and input CalWild provides in the planning process, download our report about the wild and scenic eligibility of Salmon Creek on the Sequoia Forest, by clicking here. For more information about CalWild’s campaign to protect wild places through the National Forest planning process, please contact Steve Evans, CalWild’s Wild Rivers Director at sevans@calwild.org or call (916) 708-3155. To see the latest Forest Service update on its forest planning process in California, as well as receive news about the upcoming Inyo Forest final plan and the supplemental draft plans for the Sequoia and Sierra, visit the Forest Service’s web site at https://www.fs.usda.gov/detail/r5/landmanagement/planning/?cid=STELPRDB5444003. Each summer during these revisions, CalWild will host a series of weekend camping trips to introduce our members and supporters to these beautiful wild places. Sign up to receive information on future trips as well as updates on the draft Forest Plan revisions when they are released for public review and comment. Involve Native American Tribes, Latino groups, whitewater outfitters, kayakers and other non-traditional conservation partners in the public comments and planning processes through broad-based community organizing. Get downloadable fact sheets on the various wilderness areas and wild rivers throughout the Sierra Forests. Make your own adventure! Go on a hike and explore the Sierra Forests. This 48,000 acre roadless area is composed of the steep slopes that rise up from the banks of the Wild South Fork Merced Wild & Scenic River from 1,398 feet to 6,989 feet in elevation. The area borders Yosemite National Park on the east. The roadless area is both a rare and extremely valuable priority for conservation because it is one of the lowest-elevation wild places in the southern Sierra, where most protected landscapes are sub-alpine or alpine and most low to mid-elevation areas have been mined, logged, developed or roaded. 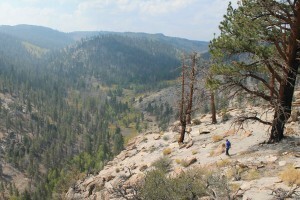 The Bishop Creek drainage in the roadless area contains a particularly fine stand of old-growth ponderosa pine forest, and two rare plants occur in the area. 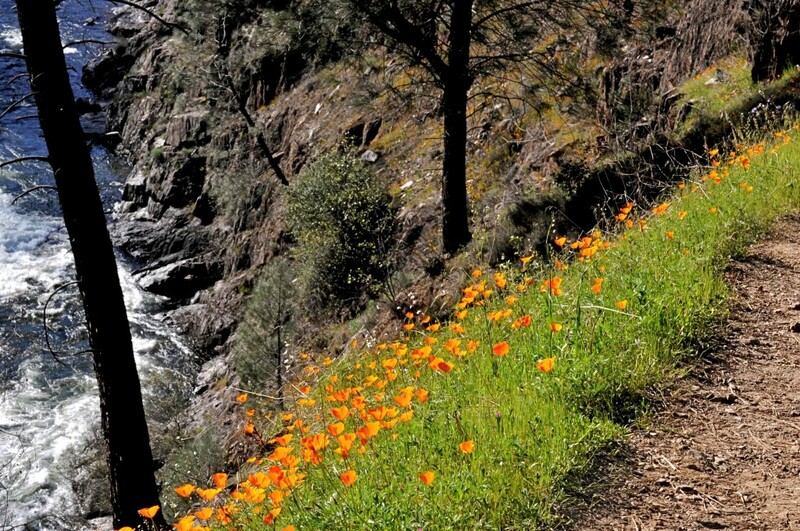 The Hite Cove Trail that parallels the South Fork is very popular for its spectacular spring wildflower displays. 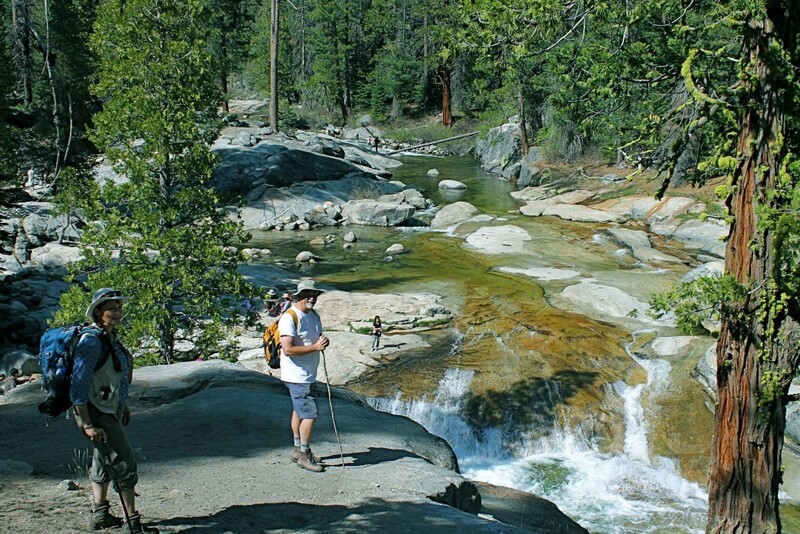 Dinkey Creek flows for more than 27 miles from the high country of the Dinkey Lakes Wilderness, pass spectacular Dinkey Dome, and into a rugged canyon that ultimately leads all the way to the Kings River. Long threatened by a dam project, the middle segment of Dinkey Creek is a popular recreation destination for families from the Fresno/Clovis area, offering outstanding scenery appreciated by campers, anglers, hikers, and families simply escaping the summer heat. Expert whitewater kayakers consider lower Dinkey Creek to be world destination for class V (class VI is unrunnable) kayaking. Enter “Dinkey Creek kayaking” in your computer browser to view truly astounding examples of whitewater kayaking over the waterfalls of lower Dinkey Creek. The upper portion of the creek flows through the potential Dinkey Dome Addition, part of a more than 43,000-acre complex of potential additions to the Dinkey Lakes Wilderness. Lower Dinkey Creek flows through the 10,000-acre Sycamore Springs Potential Wilderness just upstream of the creek’s confluence with the North Fork Kings River. Flowing through the deepest canyon in North America, the mighty Kings River forms the boundary between the Sierra and Sequoia National Forests. Much of the upper Kings is already protected in the Kings Canyon-Sequoia National Park, Monarch Wilderness, and as a Wild & Scenic River. But a 12-mile segment of the river downstream from these protected areas flows through the 28,000-acre unprotected Kings River roadless area. 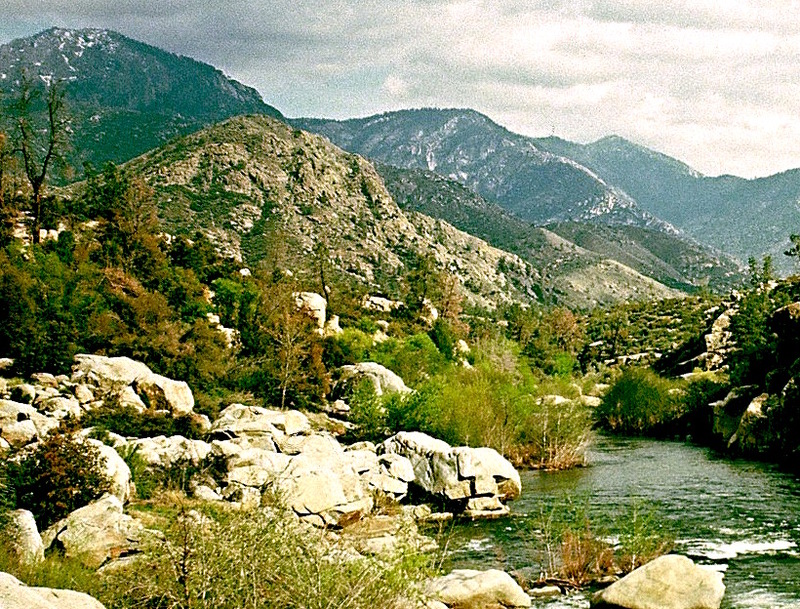 This segment of the Kings River is a state designated Wild Trout Stream and is a popular destination for whitewater boating. Establishment of the Kings River Special Management Area by Congress in 1987 shelved a dam project that threatened the river but it did not provide the area with the same level of protection as Wilderness. Protecting the river as Wild & Scenic and the roadless area as Wilderness would permanently protect an area that ranges from 1,000 feet elevation in the Sierra foothills to 12,000 feet elevation in the High Sierra. This not only protects a diverse area for a wide range of wildlife and plant species, it also provides protected habitat for climate change-induced migration of wildlife and plant species to higher elevation areas as our climate warms. Adjacent to the existing Golden Trout Wilderness, these potential additions represent the largest complex of unroaded lands in the Sierra Nevada. They feature great ecological diversity due to their wildness, size, and elevations ranging from 3,000 feet along the North Fork Kern Wild & Scenic River to almost 10,000 feet atop Lookout Mountain. Protecting this area would preserve a continuous uninterrupted transition of ecosystems from the sagebrush and gray pine dominated landscape along the North Fork Kern to the conifer forests of the Kern Plateau. 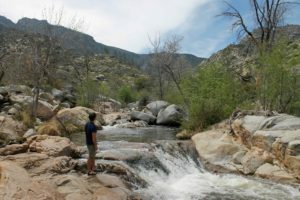 Durrwood Creek is an untouched tributary watershed that supports endangered golden trout and the upper North Fork Kern is home to the rare Kern River rainbow trout. The proposed Wilderness additions are also important summer range for deer migrating from Sequoia-Kings Canyon National Park. According to scientific reports, the protected and unprotected roadless lands in the North Fork Kern watershed (including the Golden Trout Wilderness and its potential additions) provide the river with a high level of biological integrity. A state-designated Wild Trout Stream, Hot Creek is a popular destination for eastern Sierra visitors to view boiling hot springs and fish for wild trout, all framed by the magnificent backdrop of the eastern Sierra escarpment. Hot Creek is but one manifestation of the Long Valley Caldera, which erupted catastrophically 760,000 years ago. Pyroclastic ash from the eruption was carried by the wind eastward to what is now Kansas. A series of earthquakes and uplifting of the caldera floor by magma gathering deep underground in 1980 prompted government geologists to monitor the caldera. Meanwhile, bathing in Hot Creek was prohibited for safety reasons but visitors can still visit the thermal area along the creek and fish for wild trout downstream. Wild & Scenic protection of 3.5 miles of Hot Creek would preserve its outstanding scenic, recreational, wild trout fishery, geological, and ecological values. 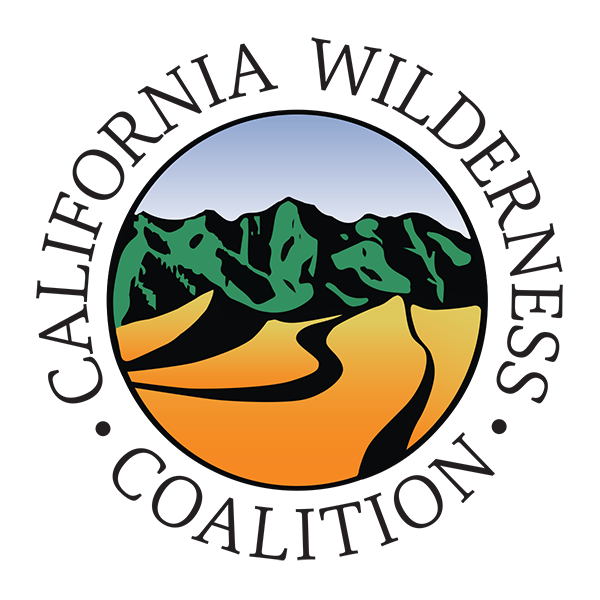 The proposed designation encompasses public lands managed by the Forest Service and Bureau of Land Management (BLM). This 70,000 acre potential Wilderness is the only east-west mountain range in the eastern Sierra region. The spring-fed creeks, abundant meadows, and aspen groves in this relatively dry and desolate area is sustained by a stream of Pacific moisture that makes its way through Deadman Pass – a low point in the high Sierra crest directly west of Glass Mountain. Steep-walled canyons and high volcanic ridges add to the diversity of this truly unique ecological, recreational, and cultural resource, which is also an important migratory corridor and refuge for wildlife and plant species responding to climate change. Dexter Canyon and its tributaries have carved more than 25 miles of deeply incised rim-rock canyons reminiscent of the desert southwest. Dexter Canyon flows from a large meadow that supports aspen groves, willow thickets, bunch grasses, and sedges. A unique mix of Jeffrey, pinyon, and limber pine grow on the canyon slopes and rims, with occasional groves of snowbank aspen. Sagebrush tends to dominate the drier flats and slopes of the area. The entire area provides incredibly diverse habitat and is home to a wide variety of wildlife, including goshawk, greater sage grouse, black-backed woodpeckers, willow flycatchers, nesting golden eagles, badgers, abundant mule deer, and brook trout. 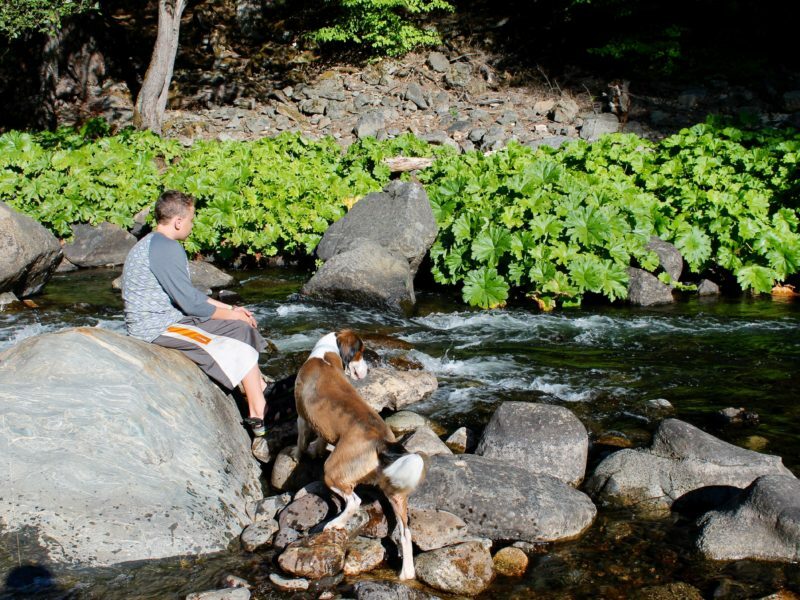 A scientific assessment found that Dexter Canyon and its tributaries possess a high level of aquatic integrity.